Click the button below to add the Copper Bathtub '9906' to your wish list. Copper bathtubs are often used by architects for adding country charm to otherwise ordinary bathrooms. 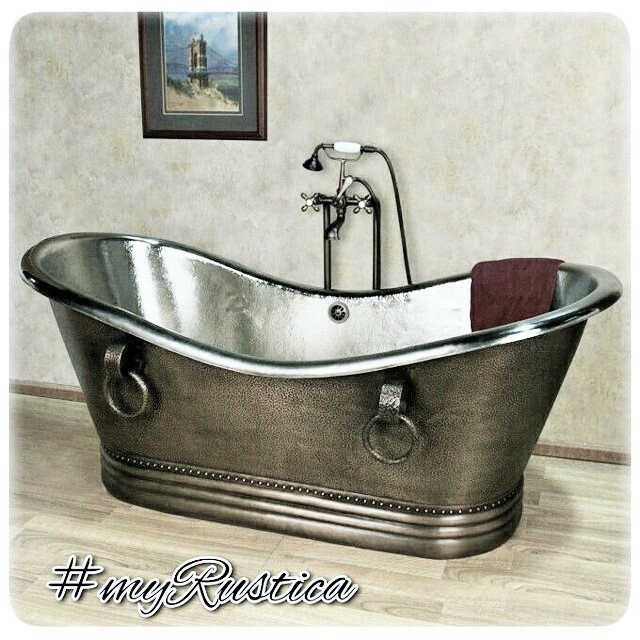 Choice of patina finishing allows the tub to be used successfully with the existing home decor. Model '9906' has its drain located at the bottom center that can be upgraded with the over-flow system. There are a variety of sizes to choose from or order as custom made. This copper bathtub is rustic looking and it takes about four weeks to deliver from Mexico to the US.